If you’re asking yourself what to do and what to see in Orgiva, you should keep reading this post, and this relatively small town in the Alpujarras of Granada won’t be a mystery anymore. 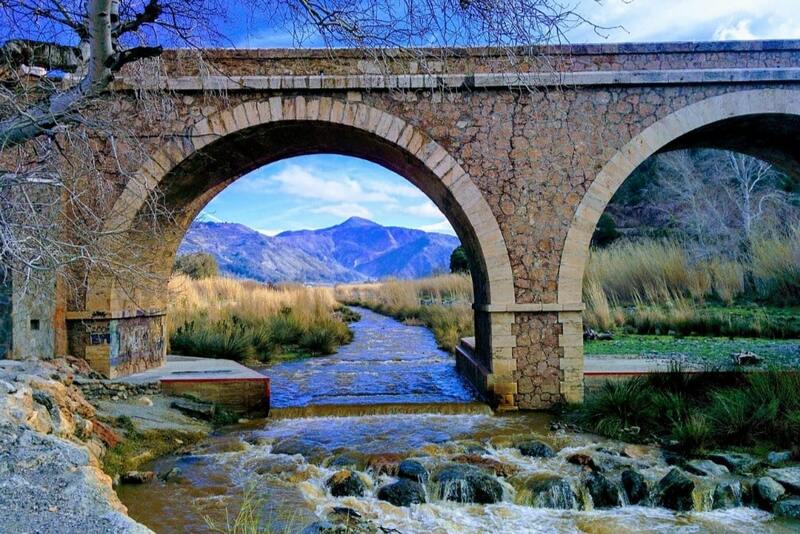 Orgiva is set at the feet of the Sierra de Lújar and the National Park of Sierra Nevada, in the Valley of River Guadalfeo, where this meets its tributary, the River Chico. It’s the capital of Western Alpujarra, and it has always been lively with businesses that have been serving the whole region. Nowadays, it is the judicial, sanitary and educational see of the Alpujarra of Granada. Its uniqueness comes from the variety of cultures that concentrate in a few square kilometres. Citizens of different European nationalities live together in what was once a hippie community. Órgiva has been known as Albacete de Órgiva for centuries, due to its Nasrid name: Albastch (which means “plain”). After the Catholic Reconquest, the Catholic Monarchs handed the keys of the city to Boabdil, Granada’s Nasrid kingdom’s last sultan, in 1492. After him, Gonzalo Fernández of Cordoba, the Great Captain ruled the town. The Duke of Sessa, the Cordoba’s and Ayala’s, the Marquis of Valenzuela and the Counts of Sástago also ordered Órgiva. 53 km separate Órgiva from Granada. You can reach the town by bus, thanks to the nine rides that leave at different hours all day long (the first departure at 8.30 am and the last departure at 8 pm), at €5.18; trips last one hour and a half from Granada to Órgiva. You can also stop in other cities of the Alpujarras, such as Lanjarón, Campaneira, Capileira, Bubión, and Torvizcón. 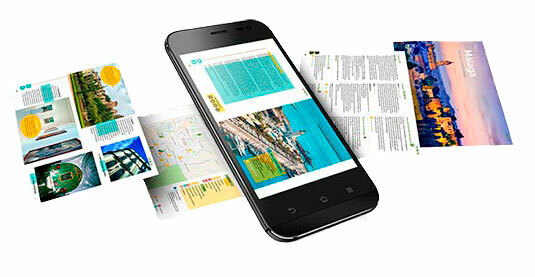 Note that the price and time vary according to the final destination of your trip. If you’d rather drive to Órgiva, take the A-348 and then the A-44 from Granada. One hour and you’ll be in the capital of the Alpujarra. The town had an essential part in the war against the Moors, and all the history has left traces, which you will make the most of during your visit to Órgiva. This 16th-century palace is one of the best-preserved landmarks in Órgiva. It was built on an ancient Moorish tower, and it’s composed of a 15-mt-tall tower and two lateral pavilions. It was declared Bien de Interés in 1994 and, nowadays, it is the see of the City Council. 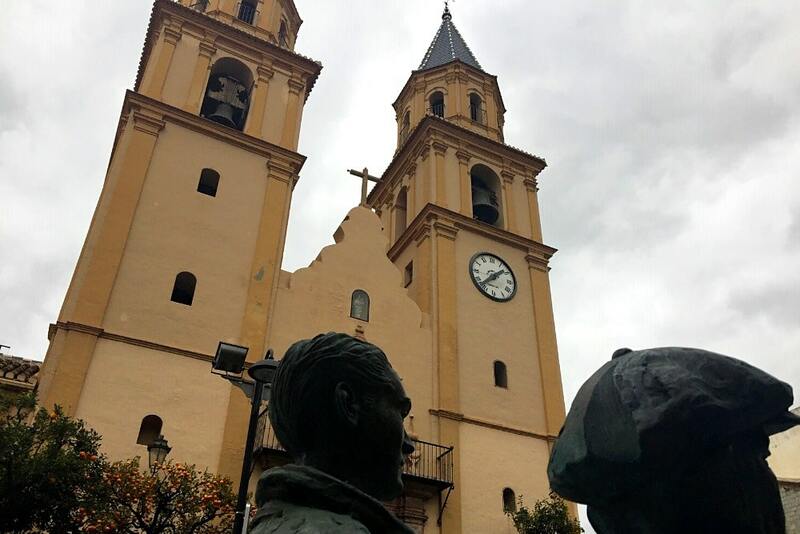 The twin towers of the main church in Órgiva are the most recognisable landmark in the city. 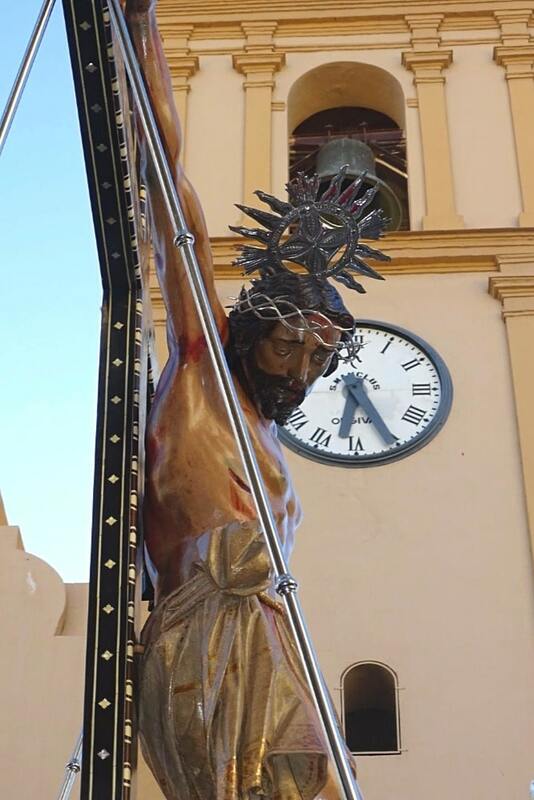 In the church, you will find the 1599 statue of Christ of Expiration, the Patron Saint of the Alpujarra and the most worshipped image in Orgiva. Several legends are related to this image; one has it that, during the Spanish Civil War, two bombs were dropped on the Church, where the inhabitants had sought shelter, but they didn’t go off. This was thought to be the intervention of the Christ of Expiration. Another legend has it that the image had to be moved to renovate the Church, but, when it was about to cross the River Chico, it became so heavy that it was impossible to complete the task. The image had to be taken back to the temple, and the work be done around it. 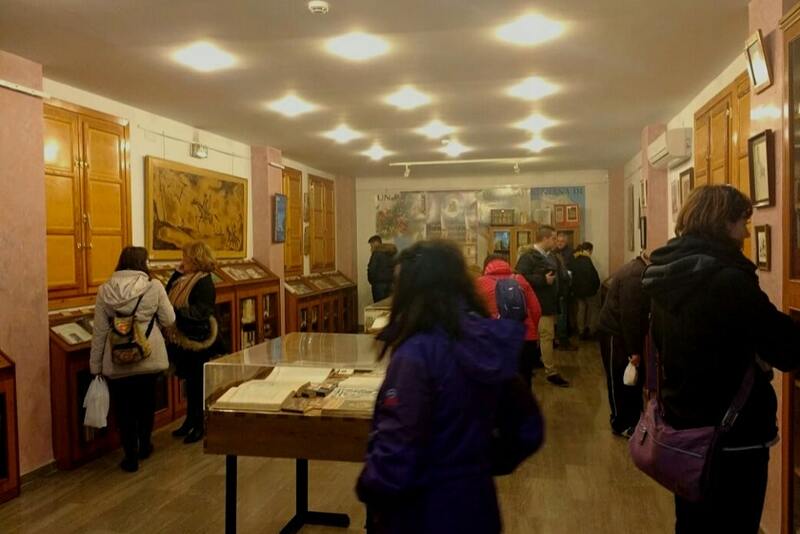 This cultural corner, located in front of the Old Town Hall, is especially famous for its Cervatina Hall (named after Miguel de Cervantes), where you will find a vast collection of “Don Quixote” in more than 50 different languages. The Hermitage is set on a hilltop, which is reachable via the narrow streets of the Barrio Alto. Although you can also drive to it, a walk lets you discover the tinaos, architectural solutions typical of the Alpujarra, which create semi-private covered spaces above the narrow streets. Once you get to the Hermitage , you will enjoy breathtaking views of the town that extends at your feet. San Sebastián has been the Patron Saint of Órgiva since the late 16th century, and is celebrated on January 20th. The hermitage was built on the rests of a Visigoth fortress, and it was canonised in 1591 after the bubonic plague killed thousands in the Alpujarra. The year 1724 saw another epidemy, but Orgiva was miraculously spared, thus increasing the devotion towards San Sebastián as the protector from the plague. Another legend related to San Sebastián has it that the Saint saved Orgiva from an inundation. In fact, a big stone prevented the water from destroying the town; the mud-soaked feet of the statue of San Sebastián made the people believe the saint himself had jumped off the altar and put the big stone on the watercourse. The square of La Alpujarra , built in the city centre of Órgiva in 2004, is another mandatory stop, as you can see beautiful tiles of each and every one of the towns in the Alpujarras. 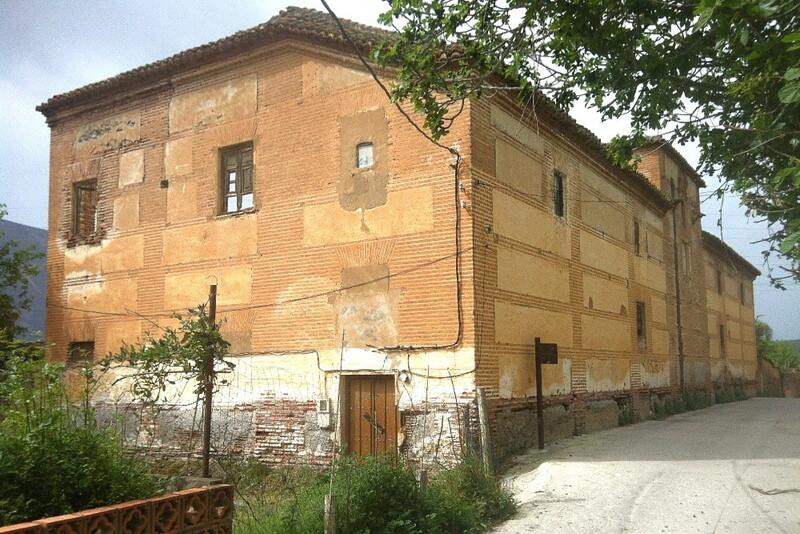 Another point of interest in Órgiva, this 16th-century olive mill was completely renovated in 2009. It’s located on the other side of River Chico and, next to it, you will find a niche welcoming the Virgen de las Nieves (Virgin of the Snows), a worshipped image of the area. When should I travel to Orgiva? If you want to make the most of the winter temperatures and the snow on the Sierra Nevada, you should stop by Orgiva on January 20th, when the Patron Saint San Sebastián is celebrated. On this day, the image of the saint, and that of the Virgin of Aurora are taken on a procession around the city and back to the Hermitage. 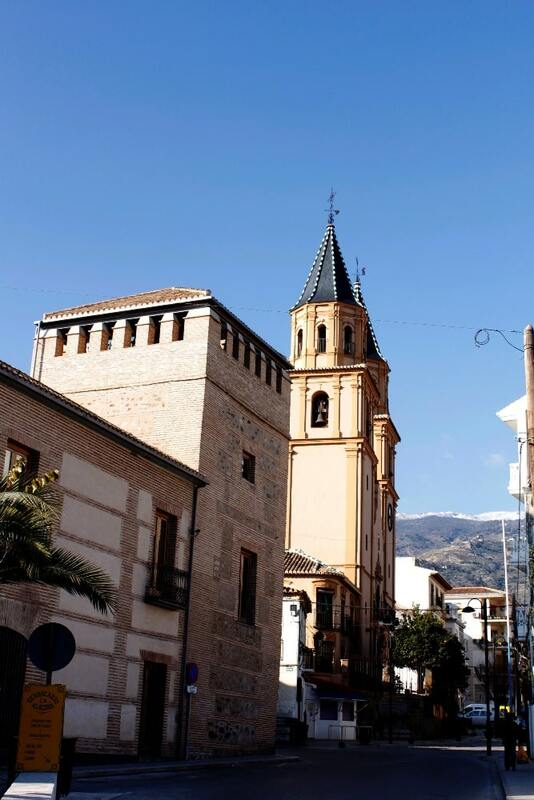 If you are already planning to travel to the Alpujarra in spring, a good option would be the Holy Week, as from Good Thursday to Easter (in 2019, from April 18th to 21st), the Fair “Hecho en la Alpujarra – Feria de Turismo, Artesanía y Alimentación” takes place. 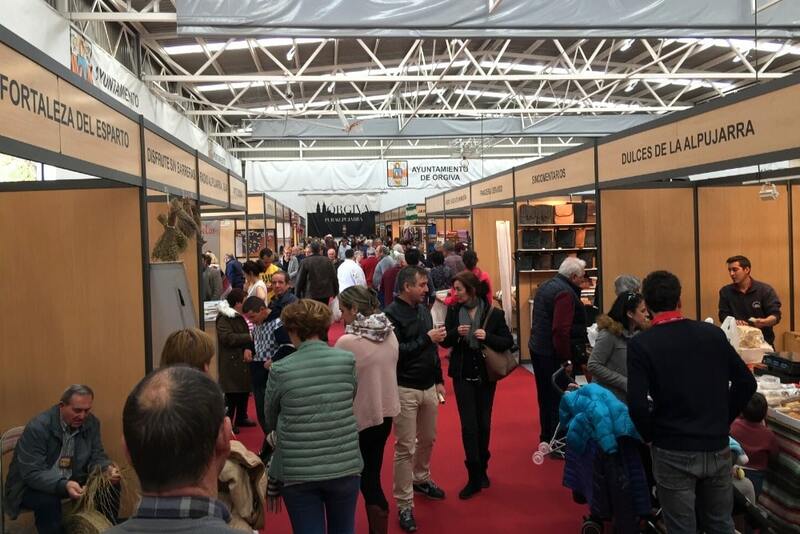 The Fair, literally “of Tourism, Handicraft and Gastronomy” reunites the best products of the Alpujarra, and you will have the chance to taste and savour the delicious homemade products of the area. The Fair takes place in the Fairground of Orgiva. Also, on the Friday before Friday of Sorrows (i.e., ten days before Sunday of Palms), Órgiva’s most crucial religious procession takes place. Santísimo Cristo de la Expiración, the patron of the Alpujarras, is taken on a procession at 6 pm, together with the Virgin. In 2019, it is on April 5th. Another important fair livens up the ambience on the last weekend of September (or first of October). It’s the Reales Ferias y Fiestas, in honour of Saint Michael (September 29th) that welcome several competitions, workshops and family-friendly activities. The International Competition of Migas (a traditional Spanish dish made with bread, garlic and bacon) close the Ferias on Sunday. Last, but not least, don’t miss out on the handicraft market that livens up the town centre every Thursday morning. 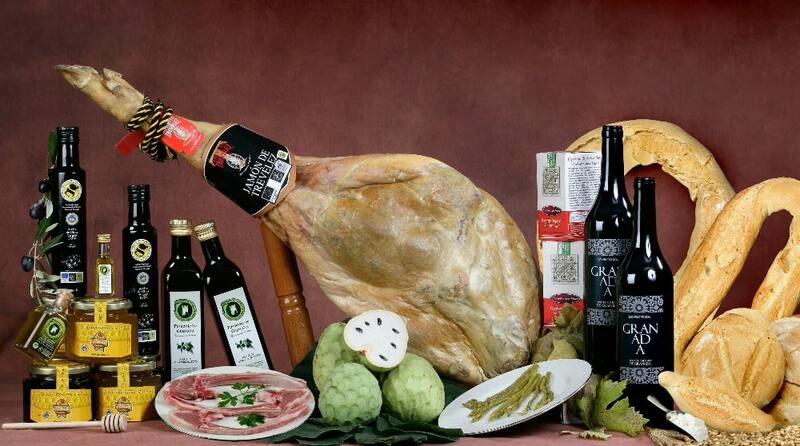 The delicious ham and flavoury meat are the stars of the gastronomy of the area. Wherever you end up eating in Órgiva, you can savour its delicacies for a fair enough price. Especially recommended are restaurants such as El Limonero, El Molino, La Almazara, El Camping or Alma Alpujarreña. The tourist office of Orgiva is located in the Plaza de la Alpujarra. The only thing left before travelling to Órgiva is to find out where you can stay in the Alpujarra. Take a look at the best holiday homes around the city, to enjoy the relaxing atmosphere that envelop the town and the marvellous landscapes of the Alpujarra of Granada. Orgiva is at a crossroad between the roads that take to Granada, to the Costa Tropical, to the towns of the Alpujarra and the Costa del Sol, in the province of Malaga. Now that you know what you can see and do in Orgiva, what are you waiting for?